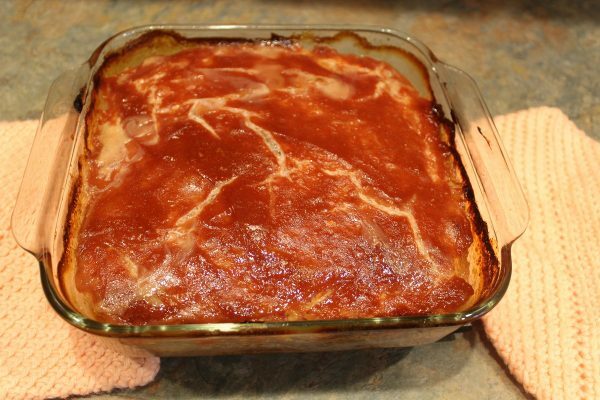 A thousand years ago or so it seems, when I was growing up in the 1950’s and 60’s, my Grandma’s Ham Loaf appeared at every church supper at the First Baptist Church in Dunkirk, NY. Grandma Burchett was raising her family during the height of “The Depression” and pennies, not dollars mattered. Women dreamed up creative ways to use up bits of this and a little of that to kept their families fed. 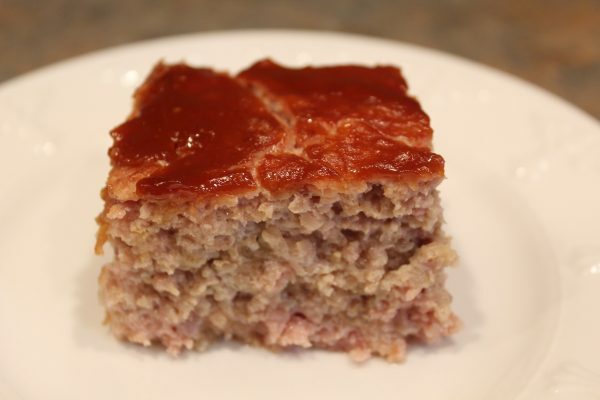 Some leftover Ham and some inexpensive ( read “cheap”) ground Pork combined with a judicious amount of seasoning and Tapioca to expand the meat was turned into a delicious Meat Loaf. Enough to feed 10 hungry mouths which is the number Gram had to feed. 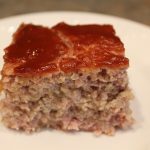 Back in the day, Gram’s Ham Loaf recipe was made and sold at Valone’s Meat Market in Dunkirk, NY. When Russ Valone retired his store was sold to the Watson family who carried on the tradition for many years. 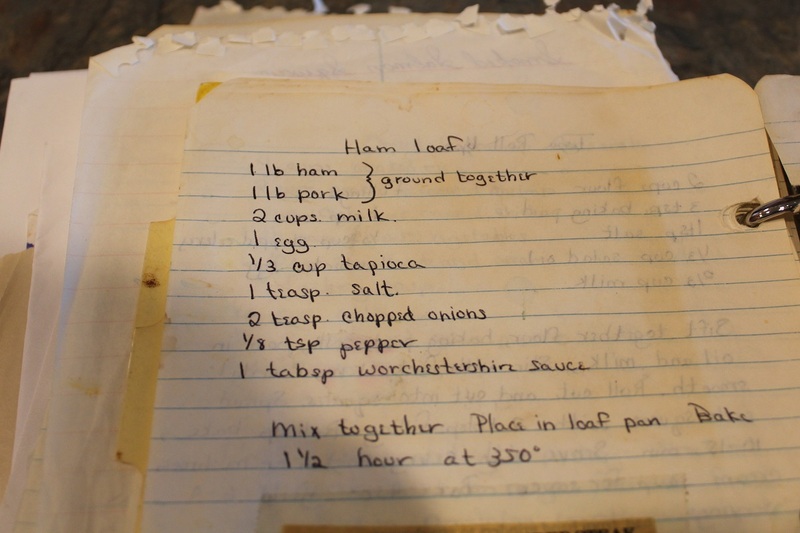 I never made a Ham Loaf myself. Instead, when I was in town, I would buy one from Watson’s to take home and bake. Then I discovered that Federal Meat Markets in Buffalo, NY carried their own version, so I began to buy it from them. But, they were a tad pricey for my budget and they became a rare treat beloved by all my family. The original recipe that Grandma used has been starring me in the face since 1975 but I never made it. Why? Oh…I don’t know. Many reasons, I guess. Life just goes on……………………. But, last week I baked a whole Ham and even after feeding the neighbors, I still had lots of Ham. 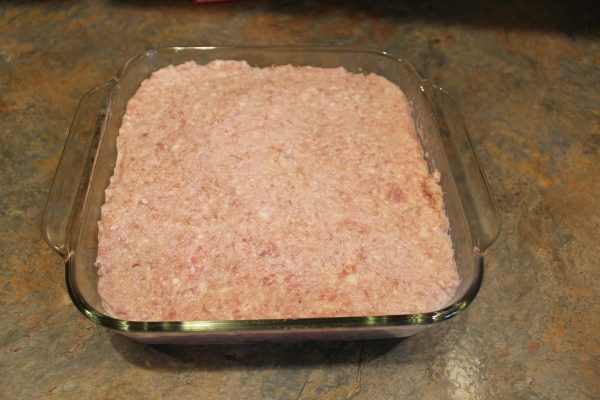 Our local grocery store had just ground up some fresh Pork, so the planets appeared to be in alignment and I made Grandma Burchett’s Ham Loaf! This is THE recipe as written in my cookbook from 1975. Gram died in 1968, so I know her recipe was way beyond the date it occurred in my cook book. And delightful it was! So different from what I had purchased in the past. Moist, tender, filled with flavor and topped with a lovely sweet and tangy sauce, it will not be another 50 years before I make this again. Absolutely sublime! Family fare. Church picnic fare. Potluck dinner fare. I can’t wait to try it tomorrow in a sandwich! And here, my friends, it what we’ll need! Oh so moist, tender and delicious! 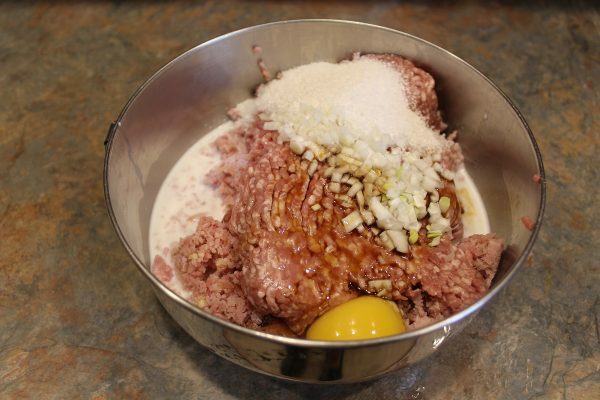 Once you have ground the Ham ( or had your Butcher do it, this goes together in minutes. 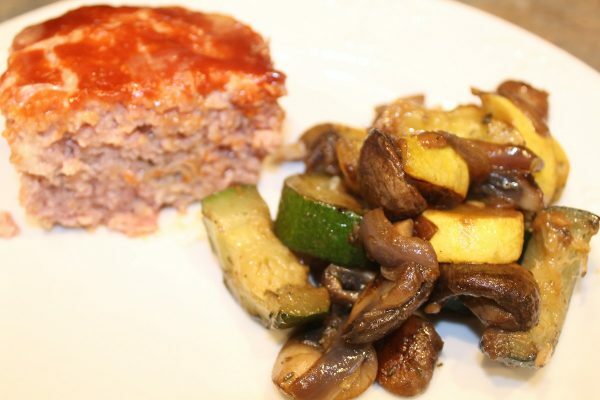 Covered with a sweet and tangy tomato based sauce, a nice long bake in the oven turns this meatloaf into a truly wonderful treat. For many reasons I equate this recipe with summer, Church picnics and potlucks so I am claiming this as another perfect summer delight! Easy peasy........Put all ingredients into a large bowl and ....get ready. Get yours hands into the bowl and start smoosing it all together. REALLY need to make sure all the ingredients are evenly combined. Spread the mixture into a 9 inch square pan. Mix together the Ketchup, Mustard and Brown Sugar. 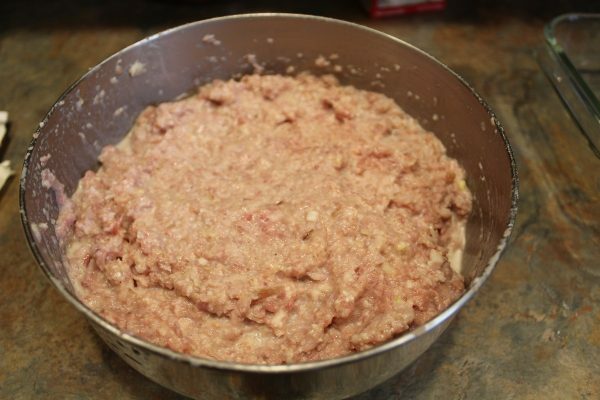 Spread evenly over the top of the Ham Loaf prior to baking. This is awesome! I love that you shared the recipe. I hope you try it Terri. It really turned out well! Karen, I noticed in the topping sauce ingredients that you list brown sugar twice. Once at 1 tbsp, and once at 1 tsp. So, do we use 4 tsp of brown sugar or is the 1 tsp used for something not mentioned? Oops….should have explained that better. I used both 1 tablespoon plus an extra Teaspoon of Brown Sugar. Thanks for calling it to my attention Lin! Going to try this recipe! thanks Karen! 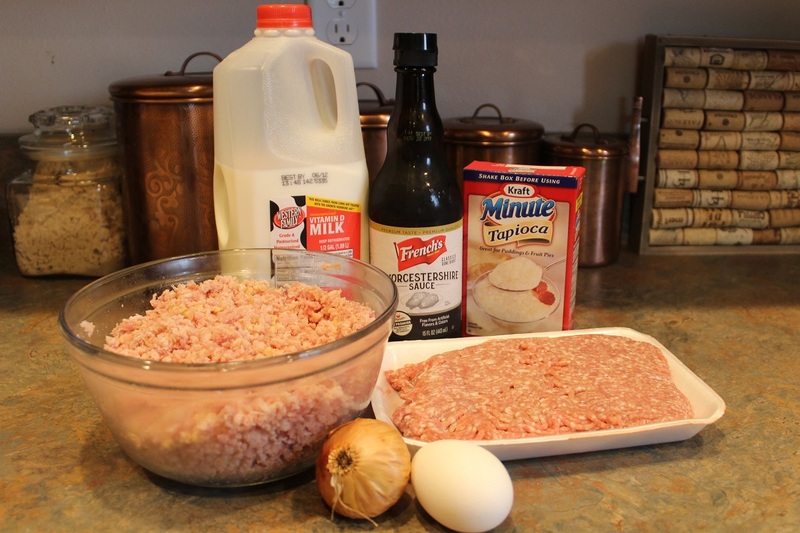 This is a wonderfully easy, yet delicious recipe. Even better, the leftovers ( if there are any) make great sandwiches!